This post continues on from my post of 4/14/15 about the practice of psychiatry in the outpatient mental health clinic at the Veterans' Affairs Hospital in Memphis. I retired from my part-time position a few months ago. While the bureaucracy and some of their requirements on physicians were annoying, they were also amusing, if not entertaining, in a perverse sort of way. Human foibles have always interested me, so I managed to put up with practicing there for several years. I was only working part time - just 30%. This limited time made the craziness tolerable for quite a while. I had been planning to stay there until the end of 2015, but I did not make it that long. Why? There were two developments that made my continuing to work there problematic, and I found myself counting the weeks until I could escape. Then I received a warning letter for my having made comments in some of my patients' electronic medical records (EMR) about the negative effects of some of the VA policies on the well being of the veterans I was treating. I knew very well that one is not supposed to do that and I would probably hear about it sooner or later, but complaints at staff meetings went absolutely nowhere - even though many of the other VA psychiatrists agreed with me - and I felt I had to protect myself from being held responsible for negative outcomes over which I had absolutely no control. The expected write-up, when it finally came, was insulting. It was obvious that the VA was far more concerned about the way I had documented serious problems adversely affecting patients than they were about the serious problems themselves. And they had the nerve to offer me psychological help if I needed it, as if my valid complaints about the mistreatment of our fighting men and women were a symptom of an anger management problem on my part! In discussing the letter with me, one of my bosses mentioned in passing that if I was unhappy with the practice environment at the VA, I didn't have to work there. I knew she meant that it would be better for her and everyone else if I did not conspicuously challenge VA policy, even though I had kept my complaints in-house. (Going public while still working at the VA was an act of professional suicide). But after she said it, I thought to myself, "You know, she's right! I don't have to work here." Soon thereafter I gave two months notice of my intent to retire from my VA practice. Neither of the two problems most responsible for my leaving was actually the subject of my letter of reprimand. The first big issue was briefly mentioned at the end of Part II of this post - a psychiatrist there who seemed to me to have been using almost all the worst practicess of bad psychiatrists that I have been describing in this blog. I'll call this doctor Dr. X. Dr. X had a large caseload. Upon Dr. X leaving the VA after practicing there for several years, I started getting some of Dr. X's patients re-assigned to me. Dr. X's notes in the electronic medical record (EMR) were next to worthless: No documentation of diagnostic criteria for the diagnoses that were made. No descriptions of why certain medications were chosen - some of which were not indicated for the diagnoses on the chart. Diagnoses were often written as just "depression," which is a symptom and not a diagnosis at all. The notes never discussed psychosocial issues, or if the patient might need psychotherapy, and rarely mentioned any of the patients' personality issues, which were plentiful. The notes also never mentioned which medication side effects the patients might have complained about. Dr. X would increase the dose or change medications without saying why. If the patients were on antipsychotic medications notorious for sometimes causing increases in a patients' blood sugar and/or cholesterol, no blood test monitoring for this was done. Worse yet, Dr. X would start someone on a new antidepressant, and then not schedule a follow-up appointment for three months or more. Antidepressants, when they work, take 2-3 weeks to start kicking in, and up to six weeks to get the full effect. Often the dose must be increased if the first dose of drug does not work. Different patients may respond to one drug but not another, and to which antidepressant a patient may best respond is unpredictable. Furthermore, certain agents may have serious side effects in a given patient, necessitating a switch to a different one. Thus, several changes in medication must often be made for some patients. Each time a change is made, the clock for the long 2-6 week kick-in period starts running from the very start all over again. Therefore, patients started on these drugs need to be followed up within 3-5 weeks at the longest. Dr. X's patients who did not respond to this doctor's initial prescriptions or who had problematic side effects, on the other hand, had to wait months for a follow-up appointment. At that rate, they would often experience no improvement in debilitating depressive symptoms - unnecessarily - for months and months. Then there was another issue with an SSRI antidepressant named citalopram (brand name Celexa). The FDA suddenly came out with a warning about the use of higher doses - doses that had previously been recommended - because of some minor EKG (heart rhythm) changes that may occur in some patients, which sometimes but rarely cause serious problems. Of course, the VA immediately mandated that dosages above the new recommendations be reduced poste haste with no exceptions, even if the patient had been stable both medically and psychiatrically on that dose for quite some time! When patients were on the higher dose because they had not responded to the lower dose, Dr. X then unceremoniously reduced the patient's dose to the previously ineffective one, and then said see-ya-later for three to four more months. The patients of course relapsed because the lower dose had never worked for them in the first place. There were other SSRI's to choose from that Dr. X might have considered switching to, since the relapses in these cases were completely predictable. Although I occasionally had seen one of this doctor's completely worthless "progress notes" before I inherited some of these patients, I did not of course know about Dr. X's typical practice pattern until after this doctor left and I started treating them. However, Dr. X had been there for years. Because Dr. X kept a very low profile, apparently the powers-that-be played a game of "see no evil." My getting these patients created two major problems for me. For one, I was getting potential cases of malpractice dumped in my lap. Second, I started getting a lot of these patients. To understand the problem this created for me, first some background: Before I had taken the job at the VA, I was told that I would have a full hour to see any patient who was "new." 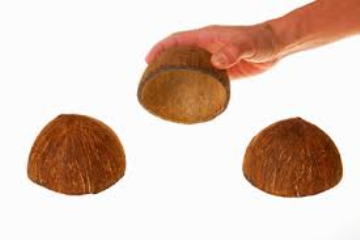 Being aware of managed care tricks, I specifically asked: new to me, or new to the clinic? (I insist on not just taking the word of a previous doc but doing my own independent evaluation, although I do take the opinion of the other doc into account). I was told I would get a full hour for any patient who was new to me. As it turned out, an hour was not the usual allotted time for visits at the VA for those patients who had been seen previously by any of the staff psychiatrists. Any patient who had been seen by another doctor was instead scheduled for the usual 30 minute follow-up. When I insisted on an hour for any patient new to me, and made the people responsible for scheduling patients change appointments which did not have the correct duration, the powers-that-be begrudgingly accepted my demand. This worked fine for quite a few years. I was officially slated to see two patients that were brand new to the clinic every week, which is fine for someone working 30% time. I could usually get such new patients in for a follow-up appointment in a reasonable period of time. However, when Dr. You-know-who left, I was suddenly seeing 4 or 5 patients who were new to me every single week. And essentially starting from scratch with each of them. 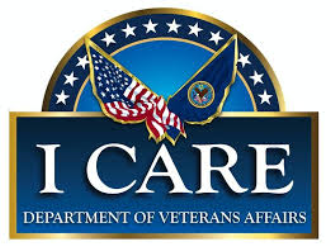 The VA, unlike me, did not count Dr. X's patients as being "new," so according to them, my caseload of new patients had not increased - when in fact, it had more than doubled! Soon all of my follow-up appointment times started to fill up. I was no longer able to get these patients scheduled in for follow-up within an appropriate time period. This was made even crazier because the VA does not penalize patients who do not show up for multiple appointments - even if they miss several in a row. Therefore, some of my appointment times for follow up patients were being wasted on patients who had missed three or four appointments, and were therefore not likely to show up. Of course, if I double booked patients, and everyone did happen to showed up, there would be no way I could see everyone on the schedule. I knew we were short staffed, but I was not going to enable the system by short-changing the patients whom I was already seeing, which was what seemed to be expected of me. The issue of being short staffed relates to the second issue that caused me to abruptly curtail my expected period of employment with the VA. That will be the subject of part IV of this series of posts. It seems like a lot more adults in the United States are living with their parents than ever before. Some of this is completely reasonable and is in no way indicative of significant family dysfunction, as economic conditions have led many twenty-somethings to require much more time to get their financial ducks in a row so they can move out and be more independent. In other cases, however, this phenomenon is due to significantly dysfunctional family dynamics. If the pattern continues into the adult children's thirties, forties, or even later, the odds that dysfunctionality is the culprit skyrocket. In a previous post, I discussed some typical patterns that create this pattern, and pointed out that the adult children remain enmeshed with their parents because, covertly, they are taking care of some of their parents' needs. They may be mediating disputes between bickering parents who for whatever reason will not get a divorce; they may be helping take care of sick, elderly, or just plain lonely parents; they may be providing free cooking and housekeeping services for families that for a variety of reasons are not being done by someone else. Or in some cases, all of the above! This is the shell game that I refer to as Who is Taking Care of Whom? I have seen cases of such patterns that continue throughout the entire lifetime of the adult child. You can find many examples of a sixty-something year old man or woman living with an eighty-something year old mother or father. The adult child's siblings may all be independent, but the "identified screw-up" seems to be the parent's favorite child. Usually in these instances, the parent is taking care of all of the adult child's financial needs, including for housing, food and spending money, so said adult child does not have to work outside of the home. The reason they do not work, however, is actually because they already have a full time job: taking care of their parents. On the surface, it seems to all the world - and even to many peripheral family members - that the adult child is using the parent, and said adult child normally receives all of the blame for the dysfunctional living arrangement. They are accused of using the parents because of less than admirable motives. Many such folks readily accept this blame, and in fact act in many ways to confirm everyone else's worst fears. They do this to protect the image of their parents, and in the process sacrifice their own reputation. Another variety of this pattern is when the adult child living with parents pretends to be a failure who always seems to need the help of their parents. That is the version of the shell game that is the subject of today's post. The adult child appears to be a big loser in both love and work. Said adult children will venture out into the real world from time to time, only to return in relatively short order with their tails between their legs. So how does one go about becoming such a loser? Let me count the ways. They may flunk out of school for various and sundry reasons that are not actually the real reasons. Alternatively, they may get a degree in something that qualifies them for a profession that is rapidly disappearing from the current landscape, so they cannot get a permanent job. They may make impulsive decisions that get them in trouble in way one or another, and subsequently lose any job they do manage to land. They may even develop various medical or mental illnesses, some of which are real and some of which are feigned and some of which are both, but all of which appear to be far more disabling than these particular illnesses should ever be in real life (the role of the defective). Drug or alcohol problems are common. Some of these folks are massively obese. They may get themselves fired from a whole series of jobs, again for reasons which may appear legitimate but are masks for the real motivation of the job loser. Or they might take a job knowing that the company they work for is actually planning layoffs. These people may also or instead play the role of loser in their love lives. They may look like they are really trying to meet romantic partners by going to singles events or signing up for dating websites, but somehow very little comes of it. Or they choose partners - or a series of partners - who are abusive, have drug or alcohol or commitment problems, or are in other ways dysfunctional, so their parents have to come and rescue them from dangerous or dead-end relationships. Sometimes repeatedly. Because of these patterns, the parents - who are in reality highly dependent on Mr. or Ms. Loser - often criticize the poor judgment of their offspring unmercifully. The more the parents criticize, the more the adult child continues making the same mistakes over and over again. The parent then feels justified in continuing to make the criticisms. On the rare occasions when the adult child expresses anger at the parent's constant harping and verbal abuse, the parent can point to the child's irresponsible behavior as justification for it. In a very real sense, the adult child is purposely giving the parent this ammunition to use against him or her, although they do not have to think about this consciously while doing so because their behavior is habitual and automatic. This allows the parent to avoid feeling guilty for both their criticisms and for the fact that they are contributing to their own child's impairment. The parents, of course, act in this manner because they themselves are playing their own roles within the family. Some are stuck in bad marriages because of family/cultural/religious prohibitions regarding divorce. Some are females who are stuck in outdated gender roles with a prohibition against women being independent. Some need their child to act out their own repressed anger because they cannot do so themselves - often due to family rules prohibiting anyone from being "selfish" enough to put their own needs above those of other family members. There is a very incisive and sophisticated comic strip called Momma by Mell Lazarus that absolutely nails the family dynamics described above. 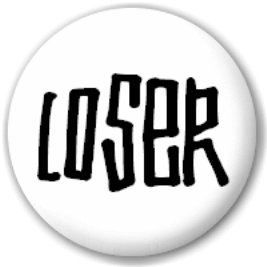 A son named Francis is the identified loser. He apparently does have his own apartment, which of course Momma is paying for, but he is constantly doing everything in his power to act out the various negative characterizations of him that Momma compulsively throws his way. It's kind of sad that a cartoonist understands this dynamic better than many therapists. Continuing on from my post of 3/17/15 on the Kafkaesque nature of the VA bureaucracy, their motto seemed to be, "If we find a problem in the system, we'll come up with a ridiculous solution that may make the problem even worse. Or at the very least, create a whole new set of problems." For example, not too long ago there were a couple of serious foul-ups at the VA Memphis hospital that were caused by patients being mis-identified by staff and given the wrong treatment. This sort of thing can have disastrous consequences, of course, and it happens from time to time in almost all hospitals. It is quite a serious issue. Of course, in these cases dire consequences are most likely to result with surgery or in a busy emergency room; such events are fairly rare in outpatient clinics. The VA solution: Every doctor was instructed to verify every patient's full social security number and full name immediately at the beginning of every single appointment. We were told to do this, not just for patients we did not recognize, but even for our regular patients who we have been seeing for years! And we were told that we had to document that we had done this - again every single time - in the patient's electronic medical record (EMR). No one anywhere else does this. That may seem like a small although illogical request that wouldn't take much time. The trouble was, we were asked to document a whole bunch of other things almost every visit. Most of these things were completely irrelevant to the visit at hand. For instance, there are so-called "clinical reminders" to ask about certain information at most visits whether it concerned the reason for the patient's visit or not (example shortly). With limited time to see each patient and to document the relevant information in the EMR, this added a significant amount of time to a visit that would then not be available to actually evaluate the patient's progress for the problem that was being actively treated. Most of the clinical reminders were checklists, about which I have complained many times on this blog. One particularly ridiculous clinical reminder was a requirement to perform a depression screening checklist, the PHQ-9. This is just what it says it is - a screening test to see who should be evaluated further for depression. It is meant to be used by primary care docs and other non-psychiatric physicians to determine who should be referred to a psychiatrist for these further evaluation, and who does not need one. It is meant to cast a wide net, meaning a positive test does not mean that you have a clinical depression - only that you might and should therefore be screened further. The VA wanted the psychiatrists to ask their patients to fill one out! If a patient is already being evaluated by a psychiatrist, the purpose of PHQ-9 is no longer operant, so filling one out is completely pointless and an utter waste of time. Unless, of course, someone is such a bad psychiatrist that they think a psychiatric evaluation does not include an evaluation for depression. I refused to do the PHQ-9's, because I perform a complete bio-psycho-social psychiatric evaluation when I first see a new patient, and I was not going to short change my patients by further shortening our already limited time together by asking questions I already knew the answer to, or was about to go into far more detail about than is possible with a PHQ-9. Actually, there was at least one psychiatrist on staff who did not do a complete evaluation of every patient. Because this psychiatrist did not make waves, that clinician was allowed to practice what I consider to be piss poor psychiatry for years. Then the doc left. I will discuss what happened in that situation in Part III of this post. The theme of this blog, as well as of my last book, How Dysfunctional Families Spur Mental Disorders, is that family systems issues have been disappearing from psychiatry in favor of a disease model for everything because of a combination of greedy pharmaceutical and managed care insurance companies, naïve and corrupt experts, twisted science, and desperate parents who want to believe that their children have a brain disease in order to avoid an overwhelming sense of guilt. I gave a positive review to Marilyn Wedge's previous book, Pills are Not for Preschoolers, which took pediatricians and child psychiatrists to task for medicating children with dubious diagnoses without even evaluating their home situation to see if the children are acting out in relationship to family dysfunction, family discord, overall environmental chaos, or poor and inconsistent discipline. 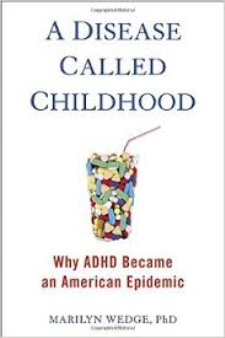 In her new book, the author specifically tackles the diagnosis of ADHD, a frequent topic of this blog. She goes over a lot of the history and twisted "science," caused by the confluence of the above factors, that has led to a drastic increase in this diagnosis, along with the concomitant increase in the use of the methamphetamine clone Adderall and other stimulants. In doing so, she covers much of the same ground as my book and this blog, discussing the influence of Big Pharma, corrupt academics who have their papers ghostwritten by drug company hacks, poor study designs, inadequate evaluation of a child's home situation by practitioners, and the appeal of a "brain disease" label for their child's misbehavior to parents - so they don't have to look at their own behavior as the reason for their acting-out children. So you think I would be happy to recommend this book as well. Unfortunately, I cannot, for two reasons. First, she comes dangerously close to tarring all pharmacotherapy and all psychiatric diagnoses, especially as they are described in the DSM, with the same brush. Second, she does not apply the same criticisms she applies to research on ADHD and stimulants to research on such side issues as food additives or violence on television. While I indeed agree and have argued in this blog that some diagnoses in the DSM are completely bogus, diagnoses such as schizophrenia, true bipolar disorder, autism, and melancholic depression are real brain diseases that are well described in the DSM. Many misdiagnoses in practice are not caused by the use of invalid diagnostic criteria, but are due instead to the criteria not being applied correctly - if they are applied at all. Contrary to popular belief, the DSM is not just a symptom checklist. The book clearly states that, in order to meet diagnostic criteria, symptoms have to have certain specific qualities and must occur in certain environmental contexts. Furthermore, the DSM describes in detail associated features that support the diagnosis, the prevalence of the disorder, the development and course of the disorder, risk and prognostic factors, culture-related diagnostic issues, disorders that tend to co-occur with a given diagnosis, and other similar disorders that need to be ruled out (the differential diagnosis). A correct diagnosis has to be consistent with all of these factors as well as having the required number of symptoms. As the author herself notes on page 30, many practitioners these days base their diagnoses "...on no more than a twenty minute evaluation using a checklist of symptoms." That sort of "evaluation" precludes accuracy. She holds the DSM to task for not basing its diagnoses on causes but merely on descriptions of disorders. That is true. However, this ignores the fact that the vast majority of psychiatric conditions have no specific causes, but only risk factors. No matter what biological, psychological, or socio-cultural risk factor you look at for a given diagnosis, some patients will have a lot of it but no disorder, while others will have very little of it but will have the disorder. She also ignores the fact that the brain is so complicated that we don't even know where nerve tracts begin and end. So just because we do not know the precise cause of something like schizophrenia, that does not prove that it is not a brain disease. That's like saying we didn't know that the bubonic plague was a disease until after germs were discovered. The author does not specifically say that adult schizophrenia is more of a cultural construction than a real disease - as is, we agree, actually the case with the vast majority of cases diagnosed with ADHD - although she does say that this is a distinct possibility with child schizophrenia. Nonetheless, she does use words like "madness" and "insanity" and describes them as being culturally defined, which might be seen as implying that this idea does, in fact, apply to schizophrenia. Schizophrenia, despite the cherry picked and fact-challenged theories of author Robert Whitaker, has been described in pretty much the same way in almost all cultures from all over the world - and for hundreds of years. It is clearly and unequivocally not merely a cultural construction. The author even tries to make the case that psychosis might possibly be a cultural construction rather than disease by bringing up the issue of drapetomania, something that has lately become a favorite of anti-psychiatry zealots. This was a proposed mental illness that was applied to American slaves prior to the US Civil War when they tried to escape captivity. Three seconds of deliberation would lead anyone with half a brain to conclude that this "diagnosis" was made solely for the benefit of racist slaveholders so they could rationalize treating Blacks as subhuman, and had nothing to do with any legitimate psychiatric diagnostic issues whatsoever. Making even the implication that drapetomania is somehow analogous to schizophrenia is the worst kind of straw man argument. Maybe I'll go find a straw man and beat him up - perhaps the Scarecrow from the Wizard of Oz, who was obviously a real person. This is a serious issue because the public thinking that chronic, severe and persistent mental illnesses are just manifestations of culture gone awry is the reason there are a whole lot of people living on skid row in cardboard boxes and languishing in jails because they committed nuisance crimes upon the instruction of the voices in their heads. In some passages in her book, the author subtly goes back and forth between adult disorders and childhood disorders in the DSM, which are often very different breeds of cat. It is extremely rare, for instance, that a teenager will actually meet the full DSM criteria for major depressive disorder when those criteria are correctly applied. It is no surprise, then, that they don't have a whole lot of response to antidepressant drugs. The author presents the case of a patient she calls "Jeanette" and says she "undoubtedly would fit" the criteria for clinical depression, and who of course had not responded to antidepressants. Well, maybe she fits the criteria, but it sounds like the author does not know. Did she or didn't she? I would bet not. Then there are the side issues of the effects of diet and TV/video game violence, in which the author's standards for good research go out the window. For example, she mentions uncritically one researcher at the Mayo clinic who "speculates" about the reasons why gluten intolerance may have increased in the last few decades. Even mentioning this without any disclaimers makes a mockery of her legitimate criticisms of ADHD "research." Focusing on these side issues diverts attention away from the main issue - family behavior - every bit as much as pretending that all behavior problems are evidence of a brain disease. Doing so takes parents of the hook, which according to the rest of the book, is highly counterproductive. With studies about food dyes causing attention problems, according to most observers, at best they provide limited and somewhat questionable evidence that some synthetic colors and sodium benzoate may have a small effect on activity and attention in some children. And when that happens, it might be because of other medical reactions to specific foods. When someone feels sick, they don't pay attention so well. So maybe it's a metaphorical tummy ache and not the food dyes per se which are causing problems. The real reason some kids may seem to improve dramatically with dietary changes is that the parents have finally begun to set limits on their children about what they can and cannot eat, instead of letting them pig out on anything they want to. Again, eating a lot of junk food can make you feel poorly, and that would have nothing to do with particular foods being a proximal "cause" of ADHD-like behavior. The author herself correctly points out that lack of structure and discipline can lead children to become "infant kings" who throw tantrums when they don't get their way. As further evidence of this point, a recent study found that 15 percent of parents in one sample said that their two-year-olds are coffee drinkers! Again, coffee is probably not good for toddlers, but it is the lack of discipline and attention by the parents that is the much bigger problem. As to television and video games, the issue is similar. Many parents these days are allowing their kids to stay up all hours of the night looking at screens. The combination of sleep deprivation and lack of discipline is more than enough to account for the behavior problems consistent with what passes as ADHD these days. The content of the programming is only relevant in one way: the level of stimulation. The author points out that one study pointed out that children watching Spongebob Squarepants on television did worse immediately afterwards on attention and memory testing than if they watched PBS. Well, that is very most likely a temporary effect of the cartoon being much more exciting than the other show. That doesn't mean than watching Spongebob is inherently bad for kids. In fact, as I described in a previous post, much of the research on violence on television measures thoughts and impulses immediately following the show, and there is not a shred of evidence that kids who watch these shows become psychopaths just from watching them. I mean, while I was reading A Tale of Two Cities I thought more about the French Revolution afterwards. That did not cause me to then rush out and get a degree in history with a concentration on France in the 19th century. I do have to give the author of this book kudos, however, for taking her life in her hands by recommending that children be allowed to walk to school.